Al Faisaliah Hotel, an ultra-luxury Riyadh hotel, features exceptional quality, unparalleled service and unsurpassed attention to detail – the hallmarks of Rosewood Hotels & Resorts. The guestrooms and suites are elegantly designed, extremely spacious and include a wide range of technologically advanced amenities and exclusive guest services, including the unique 24-hour personal butler service that is renowned in the Kingdom. Riyadh’s most luxurious property opened in May 2000. In a city that gracefully melds tradition with sophisticated style, Al Faisaliah Hotel, A Rosewood Hotel defines ultimate elegance and prestigious location. With the introduction of dedicated 24-hour butler service, the 330-room property has elevated the art of personal service to new levels. 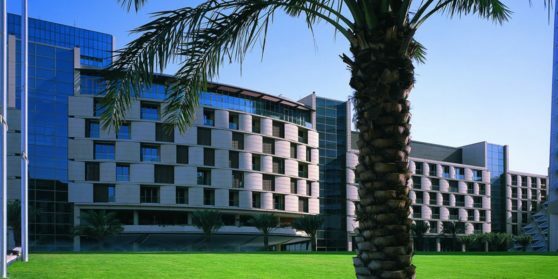 Perfectly suited to the discerning business traveler, Al Faisaliah Hotel offers spacious accommodations, technologically advanced in-room communications systems, six culinary venues, a state-of-the-art health club and easy access to world-class shopping.